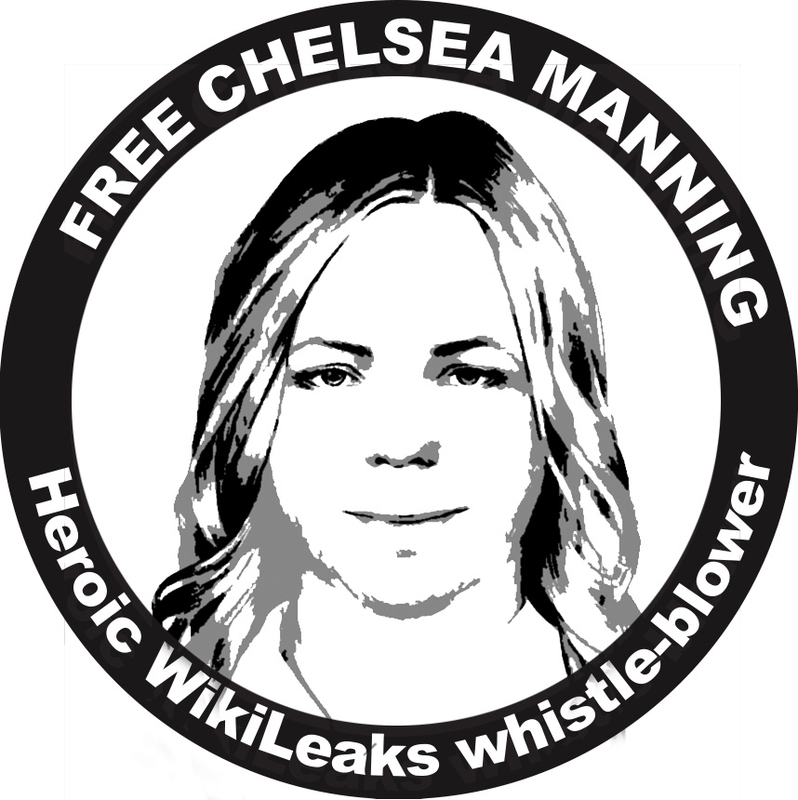 A dozen Irish musicians, actors and activists will be visiting Wales to show their solidarity with imprisoned whistleblower Chelsea Manning and her Welsh-Irish family. On Friday 23 Jan at the Shamrock Bar, The Square, Fishguard and Saturday 24 Jan at the Labour Club, Dew St, Haverfordwest. There will be performances by Irish musicians Joe Black, RoJ Whelan, Brian Fleming, Robbie Sinnott, Paul O’Toole & more. Both nights start at 8pm. Entrance by donation on the door. Donations to help offset the costs of organising this weekend would be very much appreciated. Mark any such donation ‘solidarity’ or email contact@wiseupaction.info to let them know that’s what it’s for. the events are organised by Afri (Action from Ireland) and the Manning Family Fund.